We recommend that you check this page periodically in the coming weeks as we finalize our plans and post various additions to three programs. Please note that air travel is not included in the program fee — participants are responsible for making their own travel arrangements. This year’s AFAF Summer Music programs in Europe is split into three programs. The first, our Russia Tour (for AFAF concerto competitions winners only), takes place June 29-July 7 2019 and consists of music study in Kostroma, a historic Golden Ring city on the Volga River. It also includes an extended trip to other Golden Ring cities as well as to Russia’s capital, Moscow. It begins in Moscow, Russia, with the music study portion of the program. An AFAF bus will be available to transport participants from Moscow – Kostroma and from Kostroma-Sergiev Posad to Moscow for a nominal fee, however participants are responsible for making their own air travel arrangements to Moscow. *Last day of program: July 6, 2019 (please reserve your departures for July 7, 2019). The AFAF program will take place in Tbilisi, Georgia. Georgia is a beautiful country locating in southeast Europe. It is one of the oldest countries and cultures in the world, packed with sights such as the black sea and the Caucasus mountains. Georgian cuisine contains some of the worlds most delicious dishes, prepared with high quality ingredients only found in the country. The AFAF program in Tbilisi and Telavi includes music study, in which our esteemed faculty will provide participants with daily coachings, private lessons, instruction in music history, as well as a chance to participate in chamber music ensembles, master classes and recitals. The program also includes several days of travel during which participants will be able to sightsee. Students will be able to discover the rich history and culture of Georgia. *Last day of program: TBA (Tbilisi). The Germany-Czech Republic-Austria Tour begins in Weimar, Germany, with the music study portion of the program. Participants are responsible for making their own travel arrangements to Weimar. The airport closest to Weimar is located in Frankfurt (Frankfurt International Airport) and is about 3,5 hours by train from Weimar or you can reserve your seat on a AFAF bus from airport with us for a nominal fee. During the week-long music study portion of this tour, participants will be housed in a conveniently located hotel. Double / triple accommodations are offered during the tour portion of the program. Single accommodations are available for an additional fee. Complimentary meals, including breakfast and dinner will be provided to participants during their stay in Kostroma. Participants will be able to make use of rehearsal spaces and other facilities provided by the Kostroma Music College. Accommodations in Georgia (Tbilisi and Telavi) offer double & triple room options for participants per room, or single bed option for an additional fee. The hotel is located within (10 minutes) walking distance of the Music School and its many rehearsal spaces, classrooms and performance halls. While in Georgia and during tour portion of the program, participants will be provided with a complimentary breakfast and diner. Accommodations in Weimar offer double & triple room options for participants per room, or single bed option for an additional fee. The hotel is located within (20 minutes) walking distance of the Music School and its many rehearsal spaces, classrooms and performance halls. While in Weimar and during tour portion of the program, participants will be provided with a complimentary breakfast. Ample practice and performance facilities have been reserved for participants for Russia, Georgia and our Germany-Czech Republic-Austria programs. In addition to daily solo performances, recitals, and rehearsals with orchestra (Russia tour only), each student will receive two private lessons (Georgia and Germany-Austria Tours only), and have the opportunity to participate in master classes for an additional fee. Advanced students who are interested in attending chamber music classes must reserve their seats in a class ahead of time and provide their repertoire at that same time (before their departure for the tour). Please note that master classes will be offered free of charge to the winners of a competition to be held on site of the respective program, and for a nominal fee to other participants. In addition, during the course of each of the three programs, students will have the opportunity to give several recitals. 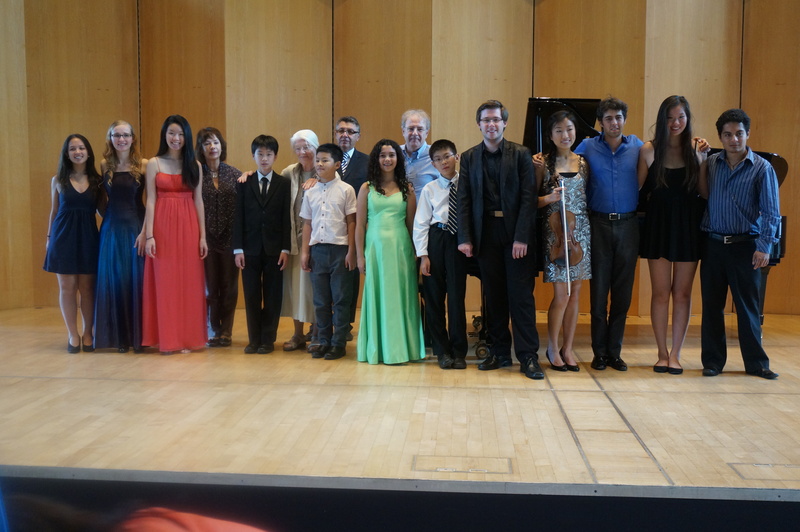 (Previous year’s recital venues included a recital hall at the Wurzburg University of Music, and the Liszt School of Music, Liszt Museum, Chamber Music recital hall. We will post more information about recital venues for both of this year’s programs as it becomes available.) 2018 Concerts: Concert Hall in Kostroma, Concert Hall in Tbilisi Conservatory, Music School concert hall in Telavi, Schuman Museum in Zwickau, and Johann Nepomuk Hummel Music School concert hall. Our program, the Russia Tour, takes place between June 29 and July 7, 2019 and consists of a week of music study in Kostroma, a historic Golden Ring city on the Volga River, home of the internationally recognized Kostroma Symphony Orchestra, as well as an extended trip to other Golden Ring cities. The program’s final destination is Russia’s capital, Moscow, home to a number of world-class orchestras and the renowned Bolshoi Theater. 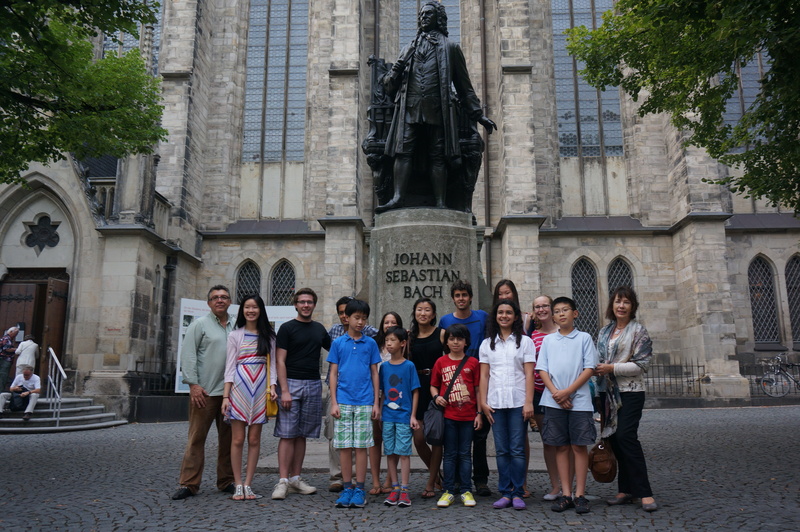 Our third program, the Germany-Czech Republic-Austria Tour, begins on August 2 – August 12, 2019 in Weimar, where the Music School will once again be hosting our students. With Weimar as their home base, participants will be able to explore surrounding cities and learn more about the composers that called these cities home, including Leipzig, Dresden, Eisenach, Zwickau, Weimar, and Halle. The program ends with an extended trip that will take participants to Czech Republic-Austria where they will visit the historic towns of Prague and Wien. The application fee is nonrefundable and will be deducted from the total program fee. The deposit is a nonrefundable and will be deducted from the total program fee. Confirmation and a non-refundable deposit are due by November 15, 2018, with the remaining balance due by November 26, 2018. Russian tour December 19, 2018, with the remaining balance due by December 26, 2018. If for any reason whatsoever this year’s festival (summer program) is cancelled, participants will be notified by April 1, 2019. Any and all deposits will be refunded. Please note that due to extensive pre-arrangements that have to been made in order to ensure the success of this program, late registrations will incur an additional fee of 15% of the cost of the program, and that no refunds will be provided for cancellations made after April 1, 2019. Discounts: Participants of previous AFAF Summer Music Courses in Europe programs are eligible for a $100 off the total program fee. For parents & other family members: The AFAF can provide accommodations for those parents or family members who wish to accompany participants for the duration of the program. The cost of room & board in a hotel for parents/guardians is $1600 (Georgia Tour). Single Room accommodations for parents are $1,950. $1,800 (Germany-Czech Republic-Austria Tour and Russia Tour). Single Room accommodations for parents are $2,250. Extra Fees: Please note that our Germany-Czech Republic-Austria Tour include several optional excursions which are not covered by the program fee. Specifically, the program fee does not cover the cost of excursions to Leipzig, Dresden, Eisenach, Nuremberg, Weimar, Zwickau Schuman Museum. Students who are participating in our regular 2018-2019 Festival are eligible to receive a $200 scholarship towards AFAF Summer Music Courses in Europe 2019 (Germany, Austria, Italy tour only). Scholarships will be awarded based on audition performances. Make sure to check the scholarship box on your 2018-2019 Season application form if you want to be considered for this scholarship. The American Fine Arts Festival assumes no liability for medical emergency or other health related expenses. Participants are required to submit proof of travel-medical insurance. The American Fine Arts Festival assumes no liability for damage, theft or injury that may occur during the course of the program. Please note that a valid passport is required for travel and that depending on citizenship status participants may be required to have a visa to be able to enter the EU and/or Russia. For visas to Russia, we can recommend a visa services agency we’ve successfully worked with in the past. Please make sure to check entry and visa requirements and have all your travel documents in order at least one month before departure. 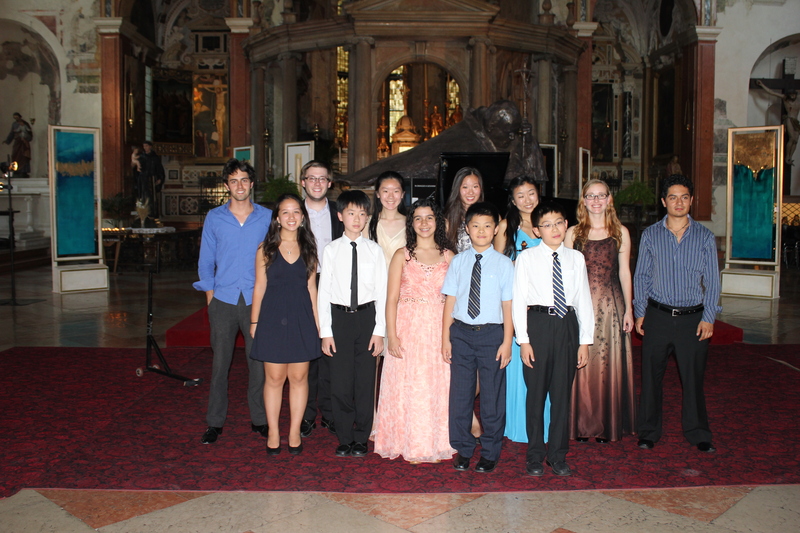 For more information about the AFAF Summer Music Program in Europe 2019, please email us at afafestival1@gmail.com. All written inquiries and applications should be sent to AFAF, P.O. Box 106, Holmdel. Due to the volume of calls we can only respond to teacher inquiries. We invite you to join our e-mail Newsletter for important announcements or changes to Festival guidelines. The AFAF reserves the right to make necessary changes to festival or competition rules, awards and schedules for any reason and without prior notice. Copyright © 2004-2018 AFAF. All rights reserved.